A man has been sent to prison for indecently assaulting a child. Clive Manning was found guilty at Lewes Crown Court on January 7 of 12 counts of indecent assault which took place during the 1980s, said Sussex Police. Manning, 54, of Burnt Oak Lane, Newdigate, Surrey, groomed the young victim in Crawley. 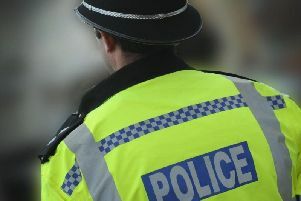 A police spokesman said: “He began grooming her, which allowed him to engage in sexual activity with her for months before he moved out of the area. “More than 30 years later, the pair crossed paths by chance, and it was this meeting that prompted the victim to report the abuse to police for the first time in October 2017. He was sentenced to 15 years in prison today (Wednesday January 16). Detective Sergeant Martin Alchin-Gadd said: “The victim was very brave to come forward after all this time. She has lived with the abuse she suffered as a child for a long time before deciding to come and speak to us. Now she has seen justice served.